Aqdot, the UK-based supramolecular chemistry company to bring its innovation to the U.S. in 2019, has achieved two Platinum level Material Health Certificates by the Cradle to Cradle Products Innovation Institute. MBDC was proud to lead the assessment for Aq™Bit, an innovative ingredient which has an exceptional capability for capturing, holding and releasing materials to be used in a wide variety of applications, and AqStar™ M1, a naturally-derived alternative to synthetic ingredients. 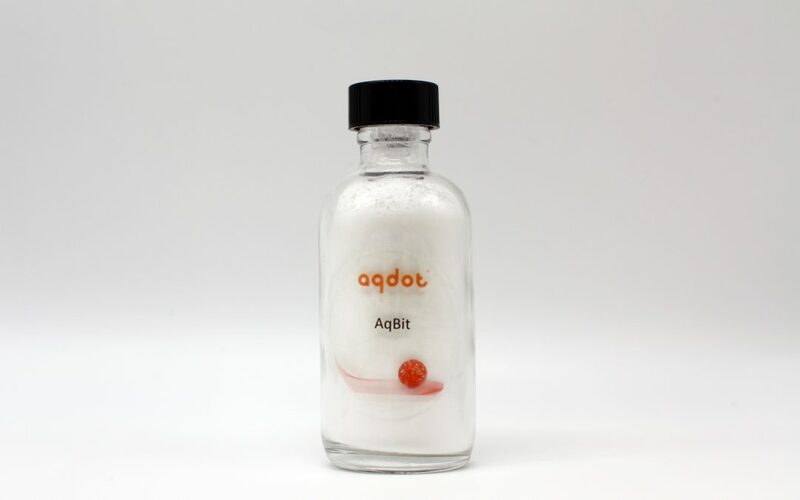 Aq™Bit, a novel and versatile performance chemistry, is exceptional at capturing, holding and releasing materials, for example, capturing odors and volatile organic compounds (VOCs), holding polymers to form gene delivery vehicles and releasing fragrances. In unique and proprietary formulations, this chemistry has the potential to be game-changing in a wide range of industries, including odor and VOC management, household and personal care products, industrial chemicals, agrochemicals and pharmaceuticals. Products incorporating AqBit will enable Aqdot’s partners to introduce novel and differentiated brands and make a positive impact on the environment. Within products used in beauty and cosmetics industries, emulsifiers are commonly used, meaning that the liquid for the product is delivered in a way that creates a balanced mixture rather than water separated from the ingredients. It may feel complicated, but it’s why your moisturizer is the perfect consistency rather than a slimy, watery mess! Industry faces challenges, however, because some emulsifiers are made with ingredients that function well, but have harmful effects on human health or the environment in which it is made or disposed in. By pursuing a Material Health Certificate for both of these ingredients, Aqdot reassures that its ingredients have been assessed against the acclaimed material health assessment methodology of the Cradle to Cradle Certified™ Product Standard, which provides manufacturers a trusted way to work toward chemically optimized products. Assessing ingredients at a concentration of 100 parts per million (ppm) or above and reaching the highest level of achievement at the Platinum level ensures that no substances in either formulas of AqBit and AqStar M1 are a risk to humans or the environment during manufacturing, use or end-of-use. AqBit is used in Aqdot’s signature Oderase™ product, where it helps eliminate odor by capturing molecules and removing them from the air. Stay tuned for an upcoming announcement on Oderase’s work with MBDC and its pursuit of Cradle to Cradle full product certification.